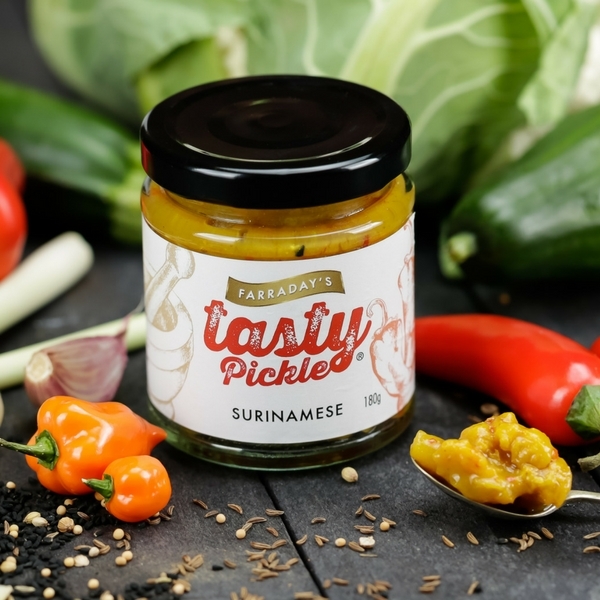 Our Tasty Relish and Pickle Gift Set contains four of our most popular and tasty products and will make a perfect gift for food lovers the world over! 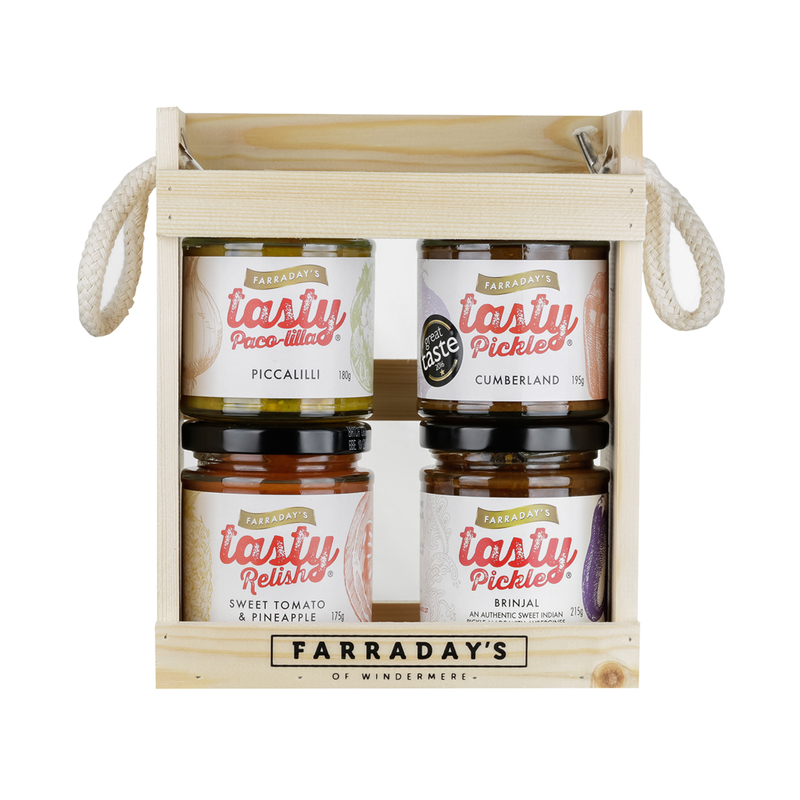 The relish and pickle gift set is presented in a traditional wooden package complete with the Farraday's branding. 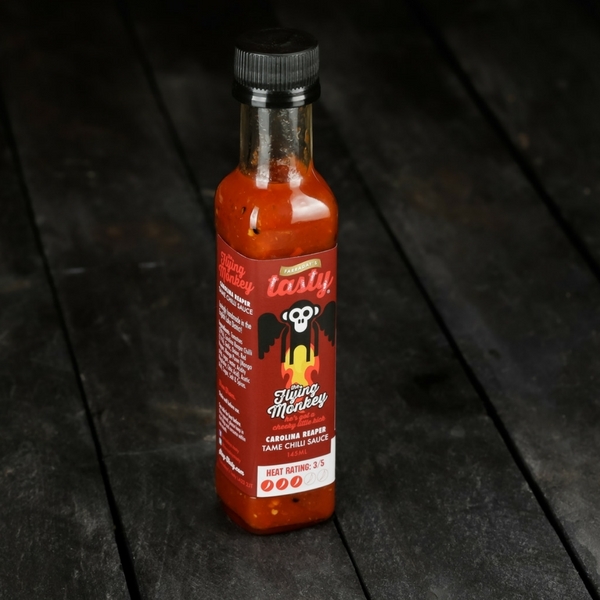 The Tasty Relish and Pickle Gift Set is a product created in and distributed from the English Lake District. 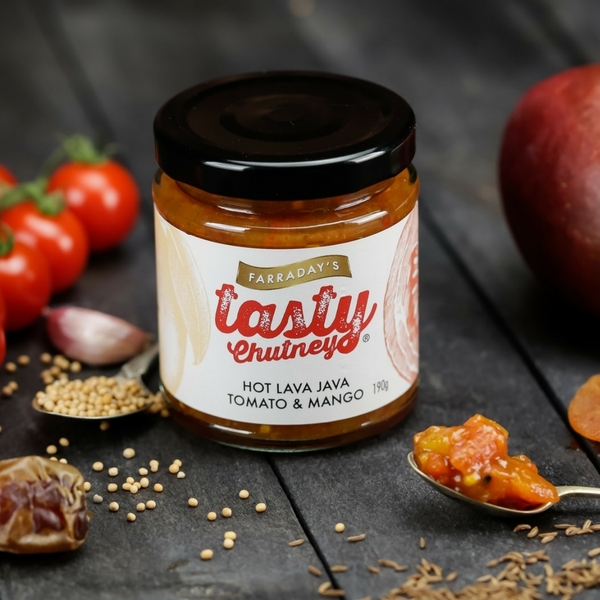 A new tangy pickle with a gentle heat and a Great Taste Award Winner 2016. 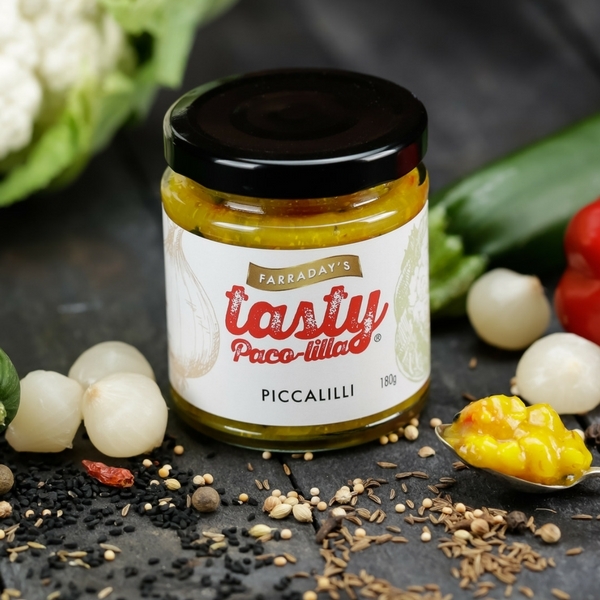 Mixed pickled vegetables with dates, sultanas, mustard seeds, mustard powder and spices. Great with pies or cold meats and cheese. Can be also added to curries or served with poppadum’s.